Disclosure: This post was sponsored by D Nadz Jewelry, all words and opinions are my own. Jewelry has been around and has always been part of our cultures. In some cultures such as India, jewelry is a vital part of their daily life and religion. They were first crafted using wood, stones, feathers, bones, skin and even plants; then later technology enabled artisans to shape materials such as gems and metals into a range of styles. Jewelry existed as a way of expressing wealth and social status, which has since evolved into a form of artistic and or fashion expression. Nadine Dillon is a handmade jewelry designer behind D-Nadz Jewelry (today's post sponsor), who works from her home studio in Brooklyn, New York. It was about 2 years ago when I met Nadine at a networking event. On her table she was showcasing her Mary Kay products and off to the side she had a necklace and earring set - it was the jewelry that caught my eyes. I consulted with her and D-Nadz Jewelry was birthed. 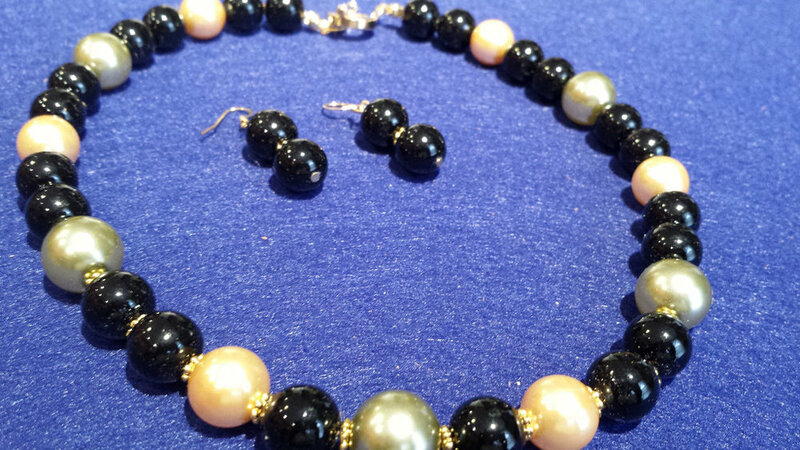 D-Nadz Jewelry is handmade from some of the finest wooden beads, pearls, crystals, gemstones and other exotic materials. Wearing handmade jewelry is a real expression of self and ethnic flair - they have their own beauty and unique appeal. So if you're the type that like unique and modern jewelry, then D-Nadz is the way to go. The simple but statement artisan collection is great for formal, casual and professional wear with an offering of a variety of colors. While some pieces are reorder-able, some are one of a kind with the option to customize based on material availability. Hop on over to the D-Nadz website (www.dnadzjewelry.com) and see if anything catches your eye. While there, don't forget that birthday or anniversary gift you need to get. Thanks D Nadz jewelry for sponsoring today's post. All opinions are my own.